Our most popular mat, 3/16 inch thick. A perfect balance between comfort and stability. 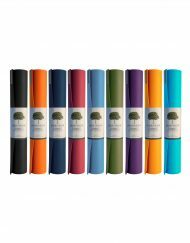 The natural choice is the Harmony yoga mat from JadeYoga. 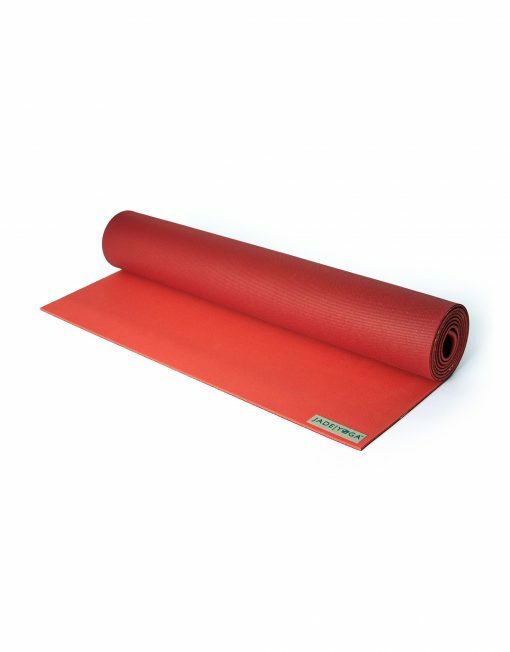 Harmony brings together natural rubber from the Far East, one of earth’s most amazing natural resources and Western technology to form a mat that is perfect for your yoga practice. 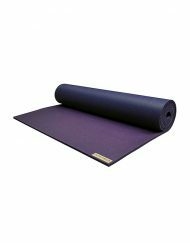 As Harmony is made of open cell rubber, you can say goodbye to slipping on your mat, even if it gets wet from perspiration. Rubber has long been used where safety demands non-slip performance. 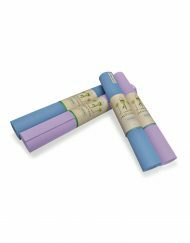 Harmony takes advantage of the properties of rubber, resulting in the best slip-resistance on the market. Try it, we are sure you will agree. Through our “Colour Cause” program, we donate $5 from each mat of a specific colour mat to a specific cause. 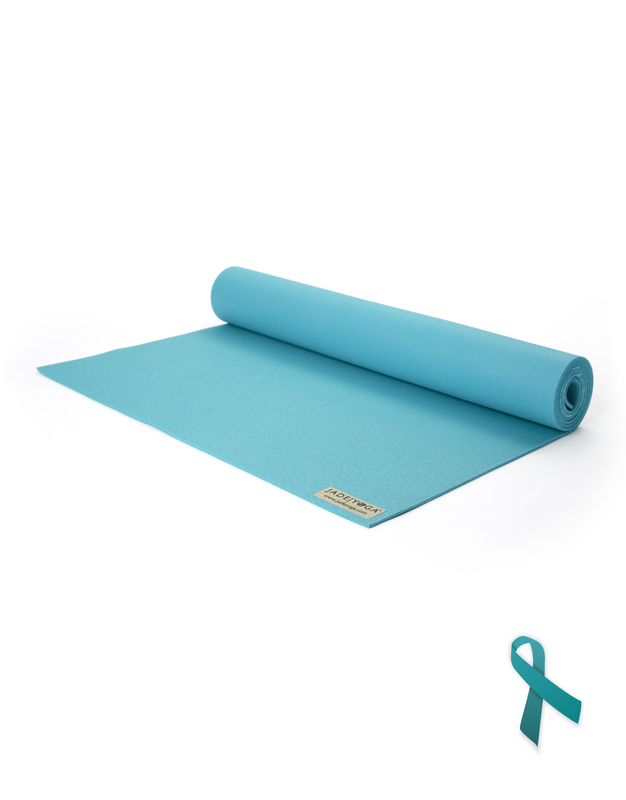 For example, $5 from the sale of each Teal mat goes to ovarian cancer causes, $5 from each Pink mat goes to breast cancer charities and $5 from each Saffron Mat goes to autism causes. Through this program last year we raised over $50,000 for ovarian cancer, $25,000 for autism and $8,000 for breast cancer. 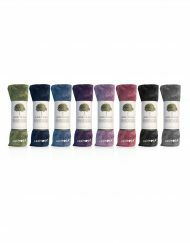 Some of these colours like Saffron and Pink run for a limited time each year, but Teal has proven so popular, it has run continuously. 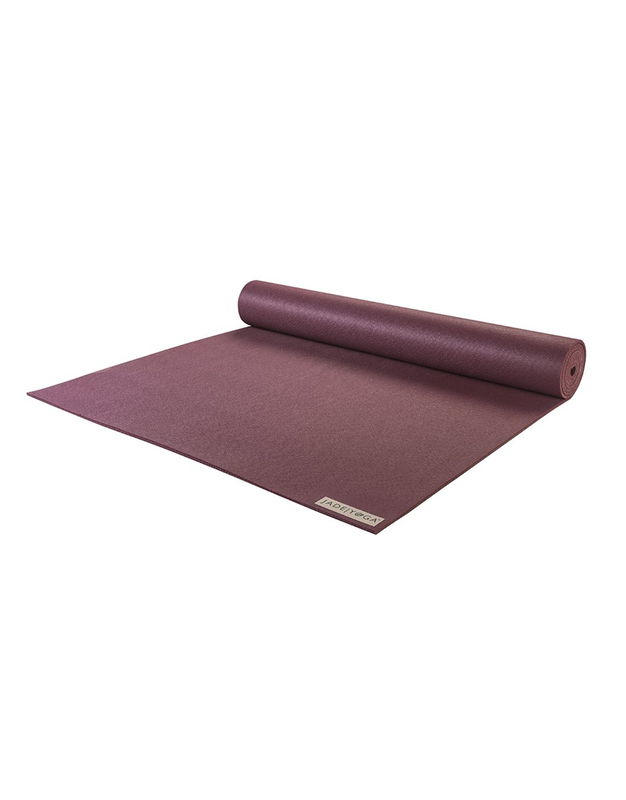 PLEASE NOTE: Two tone mats are only available in size 24” x 71”. I am very new to yoga and originally purchased an inexpensive $20 mat – I sweat A LOT and found I needed to constantly correct my positioning due to moving on the mat. It was frustrating because I was not getting all I wanted to from my practice due to the distraction. 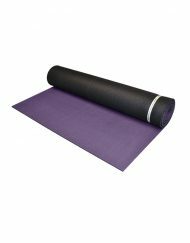 I purchased the Harmony Mat in 74″ and did my first practice last night on it. I did not slip from all the sweat and the extra length gave me the room I needed (I am 5’10”). 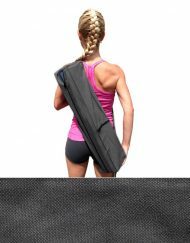 So happy with this investment and highly encourage this mat to others. As life seemed to get more chaotic, I decided to take up my yoga practice again. I hadn’t sat on a mat for four years so I was having mixed feelings about it. I went to the local walmart and bought a cheap $20 mat. Within a few weeks, I stopped practicing yoga once again. I got annoyed with constantly slipping and sliding all over my mat. 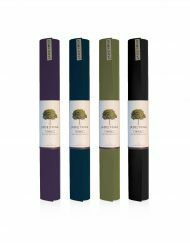 I finally did some research and found that Jade yoga mats where the best on the market and decided to buy one. 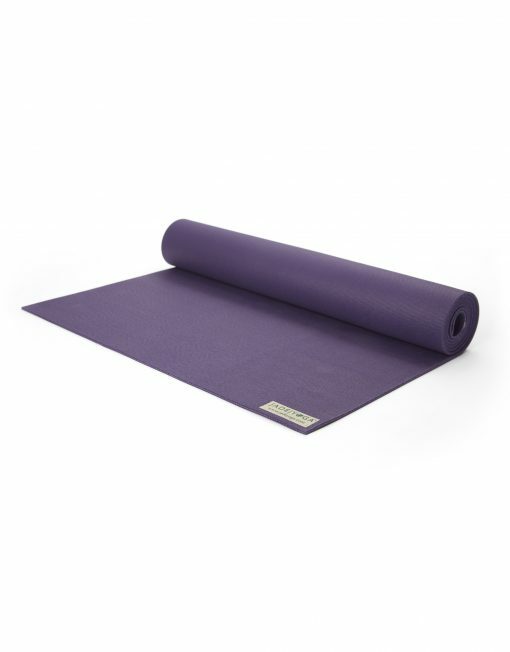 People think I’m crazy for buying a yoga mat this expensive but it makes such a difference. Its completely worth it. Since I bought it Ive been practicing a lot more and longer than I did with my older mat. I absolutely love it and am so happy I came across it though my research. I will never ever purchase another mat and highly recommend Jade yoga mats to anyone. 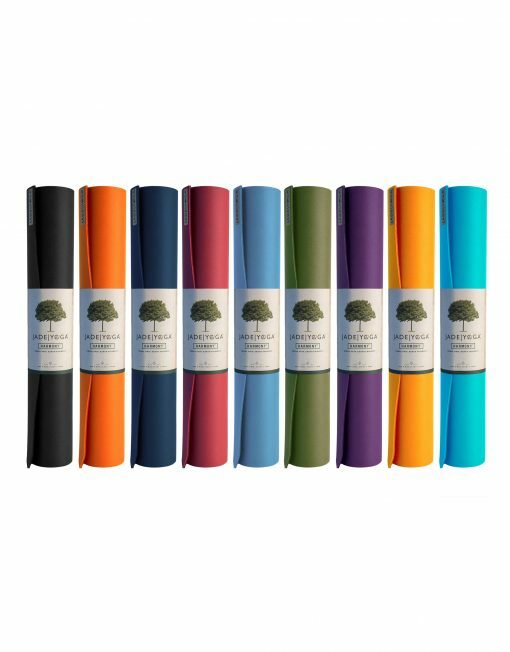 🙂 ….also you can’t beat the whole planting a tree for every yoga mat purchased! 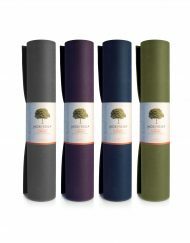 I’ve never had such a great yoga mat before! I’ve tried countless different brands and they are all slippery, this one however is absolutely amazing. Can’t recommend it enough! I got my first Jade Harmony mat over 10 years ago (after terrible slipping issues with a normal yoga mat) & it saved my practice…I may have given up yoga altogether if it wasn’t for my Jade mat! 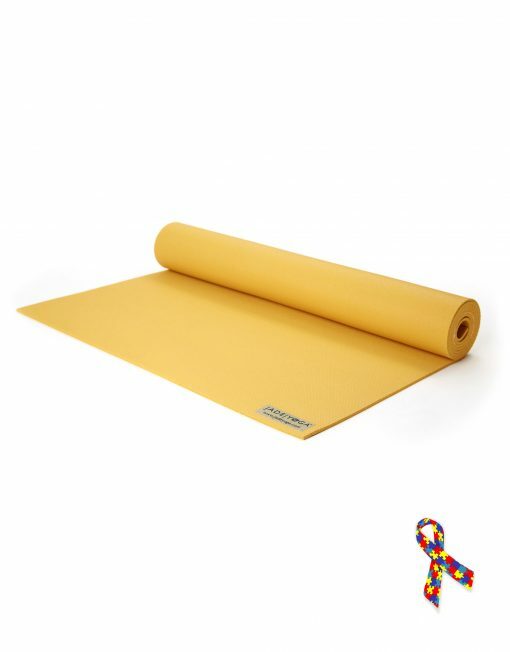 Eventually the ends list some of their stickiness, but the mat remained completely usable. I finally broke down and bought a replacement. Jade is truly the BEST!!!! I’m new to Yoga but got hooked right awayI wanted something that would last, so decided to make an investment in a good mat. I’ve been using it for a couple of months now. This mat met all of my demands. It lies perfectly flat (no curling at the ends), great colour (I got a two tone), it’s thin but cushy (easy on my knees) and very non-slip (almost sticky in feel but not gross). It’s solid rubber so it’s a bit heavier than the foam ones but it’s just a better mat hands down. I put it in my bike carrier and away I go. My only complaint, that I know can’t be helped, is the rubber smell. 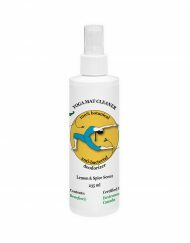 I bring some yoga mist (by Sage) and spray it before class and it helps a bit. Maybe I’ll air it out more at home and see if that helps. Thanks for a great mat! I want to let you know how much I LOVE my new mat. 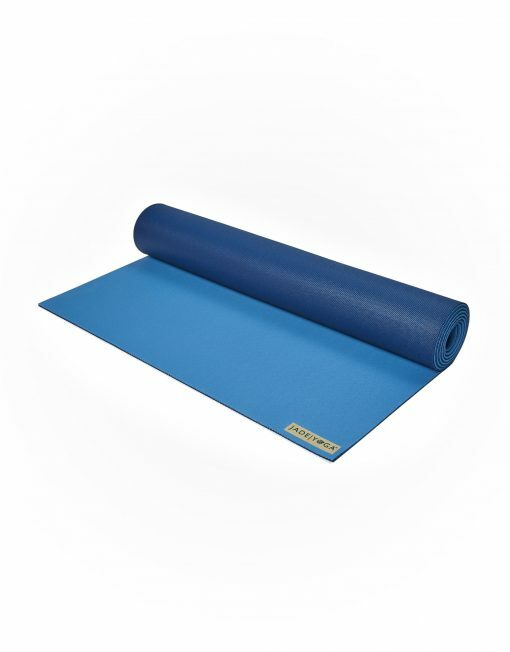 This mat has changed my practice! No more feeling like I am slipping when doing a down dog…feet and hands are secure. The best part of not slipping is my wrists are not hurting anymore. This truly is a great product. It is more expensive than the buy off the shelf at large box stores but well worth the investment. 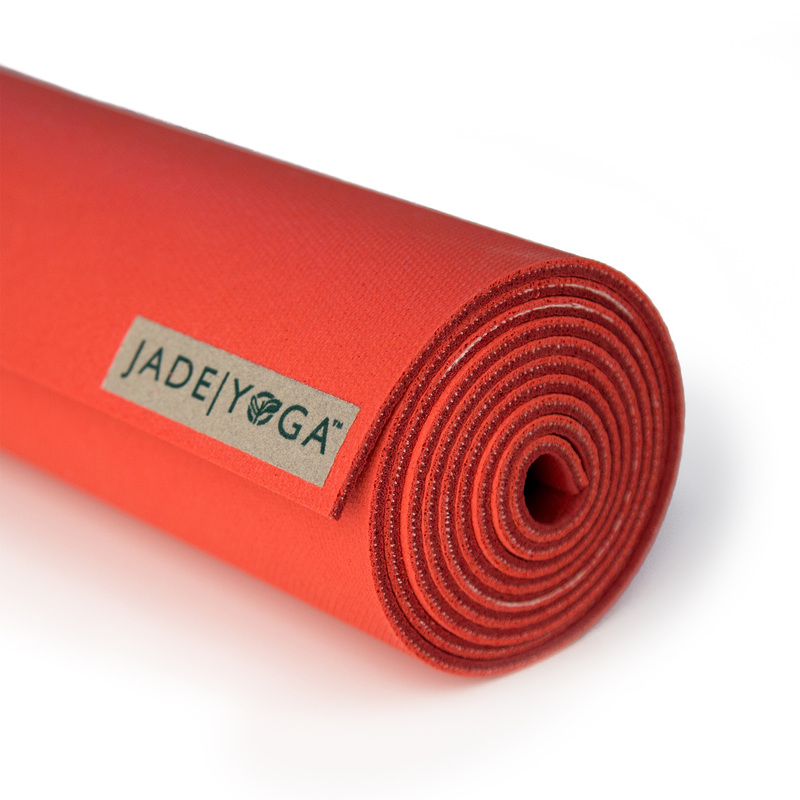 I tell everyone they need to get a Jade Mat!!! 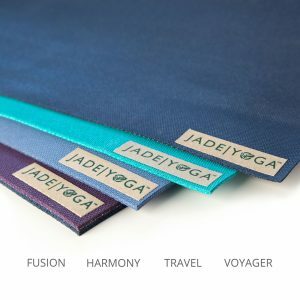 I just bought a jade yoga mat at my yoga studio and they are incredible!! Please if you are hesitating do not hesitate any longer!! I have a regular yoga practice and this mat covers every aspect of a good mat + it is Eco friendly. After 6 years of yoga, I finally decided to invest in a quality mat and bought this one. It is worth every penny. Every time I pull out the mat, I am happy. If you’re doing yoga regularly, it’s worthwhile to make the investment in your mat. Good luck! I got these mats for my mother and her friend, avid yoga junkies. Although I have no way of knowing just how good the mats are, my mom and her friend are delighted with them. They can’t stop raving about the quality and comfort these have. Very glad I got them this present.